In need of a crown? At Brian F. Scaff, DDS, we can provide the singular experience you’re looking for with the dental work you need. Get discolored teeth brightened and chipped teeth corrected. Get uncomplicated transformations or full smile makeovers. Dr. Brian Scaff has been treating patients in Austin since 1982. Crowning patients and empowering them with confidence. If you’re packed and ready, we can guide you on your trek to full oral health and vitality. Call us at (512) 782-8439. Located in the 78750 zip code area we serve Austin, Cedar Park, and the surrounding areas. Patients from Austin will tell you that they are number one when they walk through our doors. No matter what concerns you most about your smile, dental, or orthodontic needs, we’ll answer your toughest questions and direct your course with precision. We’d love to schedule you for sedation dentistry. We want you to experience the transformation that comes from dental crowns or cosmetic dentistry. Whether you need veneers, crowns, whitening, braces, or implants. We have a seat ready for you to dictate from. See you soon, your highness. What’s Your Dental Strategy, Austin? To achieve the utmost in oral health and a dazzling smile, you need a strategy. If you’re in Austin, Texas, looking for a smile makeover and needing restorative dentistry, cosmetic dentistry, porcelain veneers or any number of dental restoration procedures done, your strategy should be: “Contact my professional neighborhood dental practice.” Brian F. Scaff, DDS, is at your service. Dr. Brian Scaff has been serving the Four Points, Round Rock, and Lakeway communities since 1982. Our highly regarded patients in Austin will tell you they can’t get over the way Brian Scaff and staff corrected and transformed their most key feature into a sensational smile. We would love the chance to thrill you as well. If you’re worried about how costly the work you need could be, don’t worry – you might be pleasantly surprised about the bottom line. Especially if, like many of our nearby Cedar Park patients with dental coverage, your insurance picks up a significant portion. But even without insurance, the procedures can be affordable. We have competitive pricing and work to keep the costs reasonable when it comes to dental implants, general dentistry, and cosmetic dentistry. And, before you ask, sedation dentistry and restorative dentistry are included in that list. Let us transform your smile into one that will light up the world. Here’s the strategy you need: Brian F. Scaff, DDS! During your consultation, we will discuss all of the procedures we offer – from braces to crowns to veneers to bridges. Knowledge is power. Do Veneers Make Teeth Look Bigger? A well designed veneer does not make your tooth look larger – unless you want it to. A veneer can correct many cosmetic dental problems and is a minimally invasive restoration. During the placement of some porcelain veneers, an extremely thin layer of enamel is removed from the tooth. If you have teeth with damage, discoloration, an irregular shape, or minimal to moderate misalignment, you have several dental remedies to choose from. Don’t worry if you feel that veneers seem to have more cons than pros for you. You have alternative options. 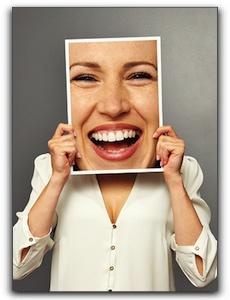 We can analyze your smile, your needs, and your goals to develop a perfect plan. Brian F. Scaff, DDS, has been improving smiles since 1982. We’ve scheduled Lakeway patients for porcelain veneers. We’ve served patients from Four Points with cosmetic dentistry. We’ve performed popular procedures like dental implants for our patients in Round Rock. And we can advise you on any restorative, preventative, or cosmetic procedure in which you are interested. Ask us about invisible braces, the cost of a dental bridge, or how long it takes to whiten your teeth. With busy schedules, we know our patients don’t want a long wait to see the dentist. Dr. Brian Scaff’s team schedules carefully so we can keep your consultation convenient, pleasant, informative, and thorough. Our staff is positive and equipped to do it right. Dental crowns have been around a long time, but they continue to play an important role in Austin cosmetic dentistry. A dental crown, often called a cap, covers the visible part of the tooth. A dental crown serves both structural and aesthetic purposes. It protects a natural tooth from additional decay and damage while permitting normal function. In addition, a dental crown often prevents the need for an extraction and the bone loss that can occur with a missing tooth. Cedar Park cosmetic dentistry patients who get a dental crown should not assume that the tooth is now invincible. 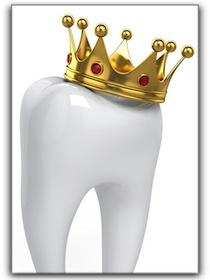 Crowns need daily cleaning and flossing just like natural teeth. The remaining tooth structure just around the gumline could still become decayed and the soft tissue around the crown is susceptible to gum disease. Chewing hard foods or using your teeth as a tool can cause a crown to crack or break. (Use scissors to open a stubborn plastic package – don’t bite and pull!) Your Austin cosmetic dentist can advise you on caring for your new crown so that it will last as long as possible. Some of our Lakeway patients have crowns that are still looking beautiful after ten years. For information on Cedar Park dental crown prices, invisible braces, conscious sedation, or teeth whitening, call Brian F. Scaff, DDS today at (512) 258-9130 or visit https://www.scaffaustindentist.com/meet-dr-brian-scaff/. Hello Austin dental friends. Today’s topic is The Dangers Of Smokeless Tobacco. Cigarette sales at most Austin stores have decreased in the past decade, but some Austin tobacco consumers have switched to smokeless products. There is a common misconception in the Cedar Park area (especially among teens) that smokeless tobacco is harmless. This is absolutely not true. Regardless of the specific type – spit tobacco, snuff, chew, or pinch – this form of tobacco is as deadly as conventional cigarettes. 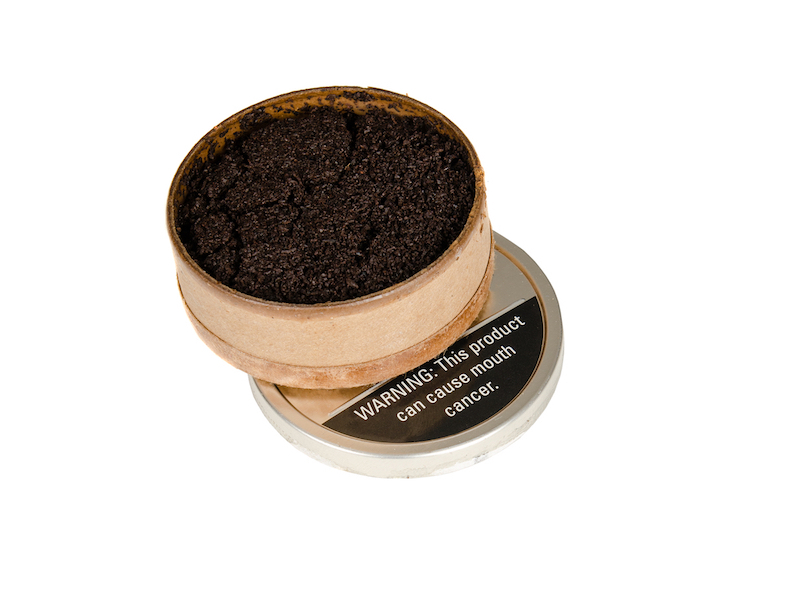 At Brian F. Scaff, DDS, we encounter serious consequences of smokeless tobacco use because many occur in the mouth. Oral cancer, mouth lesions, gum disease, and tooth decay are the most common dental problems caused by smokeless tobacco in Texas. Keeping a pinch between your cheek and gum all day is worse than keeping an all-day sucker. The tobacco contains almost as much sugar as the candy but delivers harmful chemicals as an added bonus. 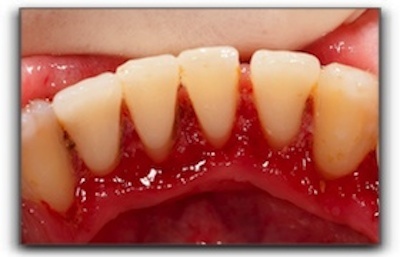 The dangers are two-fold: the tobacco erodes the teeth and also causes the gums to pull away from teeth. Precancerous Mouth Lesion Screening in Texas: Mouth Lesions are painful sores that could eventually become cancer. If smokeless tobacco use is stopped, the lesions often disappear within a year for Texas dental patients. Oral Cancer in Austin: Smokeless tobacco use in Cedar Park increases the risk for several types of life-threatening cancers, including those of the mouth, gums, lips, tongue, and throat. Oral cancers can be as deadly as lung cancer and usually require surgery. If the Texas patient is fortunate and the cancer is successfully removed with surgery, the collateral damage to the face, neck, or jaw is not pretty. These are the main dental risks of smokeless tobacco. I should also mention two other biggies: addiction and heart disease, though those are topics for another day. At Brian F. Scaff, DDS, in Austin, we perform oral cancer screenings and mouth lesions examinations. To schedule an appointment, call (512) 258-9130. If want to quit using smokeless tobacco products, we recommend that you consult Dr. Brian Scaff, your Austin primary care doctor, or your Austin pharmacist. Here is some important news for Cedar Park residents: Periodontal disease, or gum disease, is a major cause of tooth loss among adults. Fortunately, this problem is easy to treat if it is caught in the early stages. So, what should Four Points, Round Rock, and Austin dental patients be looking for? Hopefully, you are not experiencing any of these things. If you are not removing plaque between your teeth, however, your gums are at risk. Brushing alone is not enough – make sure you floss daily. Regular checkups with your Round Rock, Lakeway, or Four Points area dentist is another essential weapon in the fight against gum disease. I’m Dr. Brian Scaff, DDS. My Austin practice serves the Round Rock, Lakeway, and Four Points areas. We take pride in caring for our patients and want them to have healthy and attractive smiles. Many of our patients wonder if a smile makeover is right for them. If you’d like to know, schedule an appointment and we’ll take a look! Contact us at (512) 258-9130 and a member of our positive staff can schedule a consultation and answer any questions you might have about veneers, cosmetic dentistry, teeth whitening, and more. Have you been considering sprucing up your smile with cosmetic dentistry but are afraid you can’t fit it into your hectic schedule? Let Brian F. Scaff, DDS, put your mind at ease. Cosmetic dentistry at Brian F. Scaff, DDS, in Austin is quicker than you think. Some procedures such as teeth bleaching can be done in just one visit to our comfortable office. If you are one of the many Austin folks who wants to straighten your teeth, check out the new orthodontic options, including 6-month braces, invisible braces, and adult braces. A porcelain veneer is a minimally invasive cosmetic dental procedure that has become very popular in the Round Rock, Lakeway, and Four Points area. 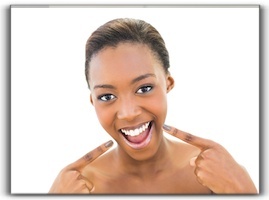 Veneers remedy chipped, cracked, discolored, and slightly misshapen teeth. At Brian F. Scaff, DDS, we create unforgettable smiles every day. It’s your turn! Call us today at (512) 258-9130! Dentists in Austin are dedicated to your oral health and care about the condition of your teeth. At Brian F. Scaff, DDS, we recognize that your teeth help you both eat and speak. You use your teeth to tear, scrape, and chew food, as well as to form words. Healthy teeth and gums are a critical component of complete physical and mental health. An unhealthy smile can erode confidence, cause embarrassment, and make eating and speaking difficult. The team of dental professonals at Brian F. Scaff, DDS in Austin, Texas, wants to help keep your mouth and teeth healthy so that they don’t adversely affect your energy in any way. We humans have two sets of teeth in our lifetime. 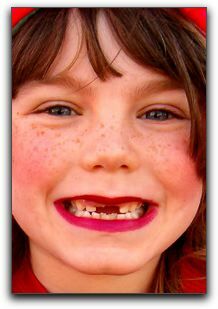 The first set are your ‘primary teeth‘, which many people around Austin often call ‘baby teeth’. Baby teeth typically start to come in at about 6 months old. An average healthy mouth has a total of 20 primary teeth by about age 5. Your primary teeth will eventually fall out and new teeth known as ‘permanent teeth‘ will grow in. Permanent teeth typically begin to come in around age 6 for most Austin residents, but every person is unique and it could be a little earlier or later. By about age 13, an average healthy mouth should have 28 of the total 32 permanent teeth. The last four permanent teeth may or may not come, but typically come in between the ages of 17 and 21 if they do. Because of the late age that these last teeth come in they are commonly called ‘wisdom teeth‘. Many adults in the city of Austin have their wisdom teeth pulled out because these teeth can be problematic to your oral health, such as causing crowding in the mouth. Other adults in the Austin area keep these teeth because they are not causing problems. If you are concerned about the state of your wisdom teeth, you can visit our local Austin office and we can help you make this important decision. Caring for all of your teeth – whether you are young and have 20 primary teeth or are an adult and have 28 to 32 permanent teeth – is necessary for total health. Let your Austin dentist help keep you healthy and happy. Embarrassed By Your Teeth In Austin? 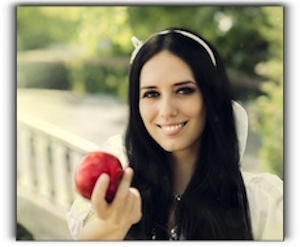 What is a beautiful smile worth? Cedar Park men and women who have received a smile makeover at Brian F. Scaff, DDS in Austin say it was worth every penny. Your smile is a part of you that you share with your Austin family, Lakeway friends, and Round Rock colleagues every single day. An attractive smile creates confidence. If you are embarrassed by your smile, you waste mental and physical energy trying to hide it. 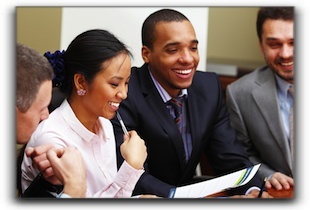 How would your life improve if you felt comfortable in every social and professional situation? If you have been trying to hide your smile for years, what incorrect assumptions have others made about you? Do you come across as self-conscious or distant because you hardly laugh at jokes and barely crack a smile when you meet someone for the first time? Investing in a cosmetic smile redesign is the best way to feel younger, more attractive, and better able to share your true self. When you quit trying to hide your teeth, you are free to put all your energy into your work, play – everything! At Brian F. Scaff, DDS in Austin, Dr. Brian Scaff carefully contours perfect smiles for our Lakeway smile design patients. We also make sure our Lakeway smile makeover patients are completely relaxed during treatment. If you are afraid of dentists, or have had negative experiences in the past, rest assured that we understand how you feel and our caring dental team will do our best to alleviate your concerns. Come in for an aesthetic dental consultation. Learn about Round Rock dental implants, porcelain crowns, Four Points invisible braces, veneers, and sleep dentistry. Life is better when you love your smile. Call Brian F. Scaff, DDS in Austin today! Since 1982, Brian F. Scaff, DDS has been providing confidence and dignity to our amazing Cedar Park and Austin patients through cosmetic dentistry and restorative dentistry. Many Austin people seem to have it all together with bright eyes and great smiles. We want you to be on the same footing as your friends, colleagues and customers. Wanting to look your best and feel your best is not about VANITY, it’s about reality in the Cedar Park professional community. A celebrity-caliber smile creates a favorable first impression and demonstrates polish and attention to detail. These are advantages for Austin people in every field of work. Popular ways to achieve such a worthy goal might be found in the services we offer at Brian F. Scaff, DDS in Austin. We offer cosmetic dentistry, restorative dentistry, and dental implants as ways to improve your confidence and security. Don’t hesitate to ask us about teeth whitening, veneers, sedation, dental implants, or any other questions that might be gnawing at you. We’ve got the answers and Dr. Brian Scaff can set you up with a dental treatment plan that will make your jaw drop! No matter your age, 40 to 70 – no matter your location from Round Rock to Lakeway to Four Points – we invite you to see our positive staff and take the step toward that impressive smile you deserve.